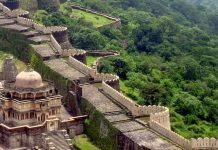 Here you will know about some best places top visit in udaipur in 2 days. If you’re planning for a weekend getaway to Udaipur, you’ve landed exactly on the right place. Recently ranked as the 3rd best city in the world, Udaipur is a dream destination for many. While planning a short trip, the major dilemma we come across is deciding which spots to visit. 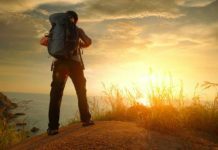 We want your trip to be enjoyable rather than chaotic and we understand how hectic planning these short trips can be. From luxury hotels to rustic forts, Udaipur has it all and we’re here as your travel guide to help you discover all shades of Udaipur in 2 days. 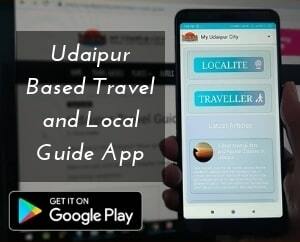 We’ve planned the udaipur 2 day itinerary for you. Rajasthan is known for its forts and palaces. What better place to start your trip than the Gigantic City Palace itself. 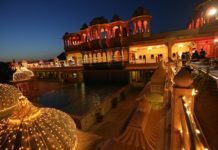 With the amalgamation of gorgeous Rajasthani and Mughal architecture, this palace is amongst the most beautiful palaces in India. The palace is situated over the east bank of lake Pichola and has various partitions within its complex. Surmounted by balconies, towers and cupolas towering over the lake, it also provides a panoramic view of the city and its surroundings. 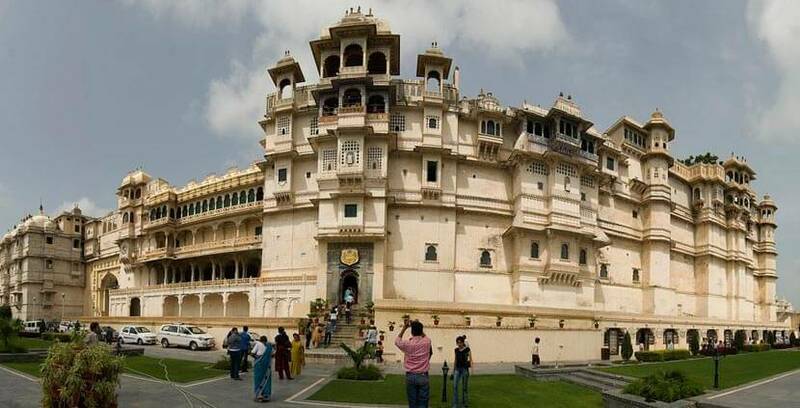 The museum here is the jewel in the crown of the palace’s complex as it is here that you can engross yourself in the history of the Maharanas of Mewar and get a really pleasant feel of their culture and royalty. The history and culture of Mewar can be easily understood by paying one visit to the palace as it is sure to leave a mark upon your mind. Reached by a sheer, elephant-edged flight of steps, 150m north of the City Palace’s Badi Pol, this Indo-Aryan temple is wonderfully raised on a tall terrace and is the most famous and largest temple in Udaipur. The amazingly carved main structure expresses a black stone image of Vishnu as Jagannath, Lord of the Universe. To reach the main shrine, one must climb 32 marble steps, obstructed by a brass image of Garuda in the end, being the mount (Vahana) of God Vishnu. Decorated by detailed and attractive carvings, this three-storied temple is a wonder of architecture that embraces decorated ceilings, beautifully painted walls and lush halls. The spire of the main temple is at a magnificent height that doubtlessly influences the skyline of Udaipur making it truly a sight to behold. Ghats are the sequence of steps leading down to a body of water especially a holy river. They are the perfect spots which give us the opportunity to be so close to water and feel the eternal peace over there. People also contemplate Ghats as a place to take bath and wash over all their sins from the past but the Ghats of Udaipur are not prominent for these beliefs but for their elegance. There are two most famous ghats you really need to visit and spend plentiful time there: Gangaur Ghat and Ambrai Ghat. Located opposite to each other on both sides of lake pichola, the scent and serenity of these places is mesmerizing. 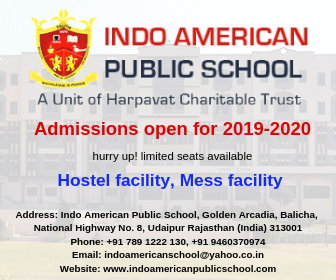 Both the places will force you to soak beautiful and lifelong memories with their spirituality, religiousness and charm. Located amidst pleasing natural beauty of Machhla Hills, Karni Mata temple is placed at a magnificent height and offers amazing views of Lake Pichola, Sajjangarh and Doodh Talai. 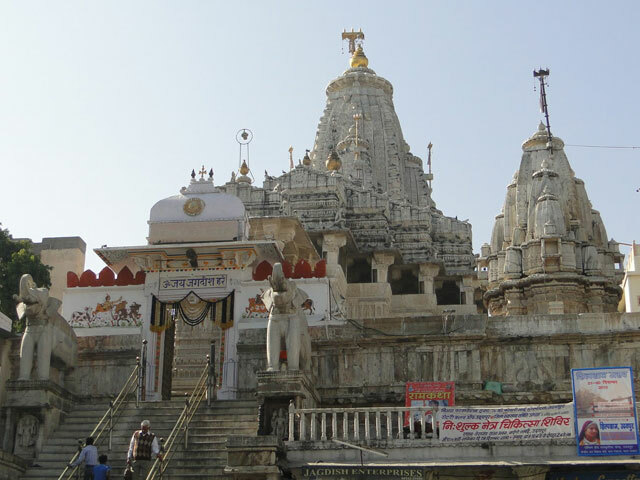 Also known as Shri Manshapurna Karni Mata Temple, it can reached by a ropeway or via stairs from Manikya Lal Verma Park. 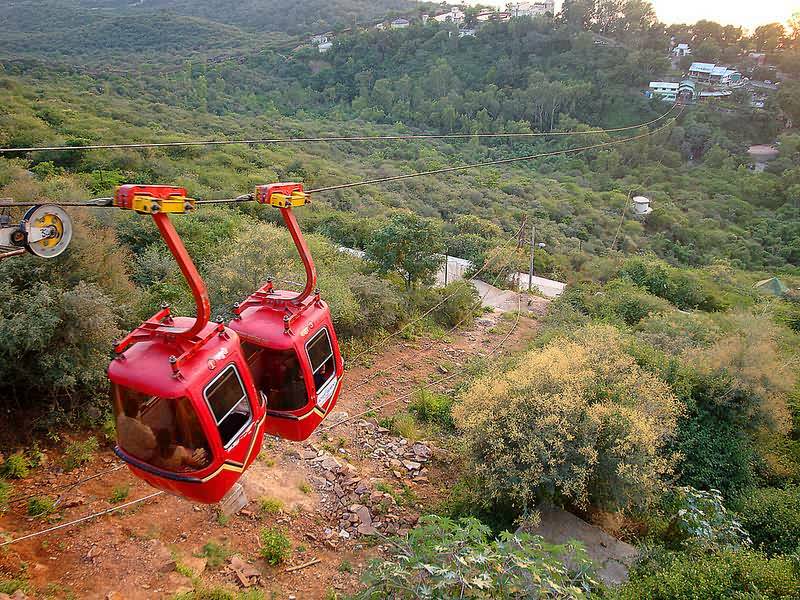 It enshrines the white stone idol of Karni Mata and from the cable car, one can catch the glimpse of the splendid views of Udaipur including Fateh Sagar Lake, magnificent City Palace Complex and landscapes of Aravali mountains. The rope-way is located in the heart of the city, so you can get access to the place easily. There is also a viewpoint which is the popular spot for watching the sunset over the city. 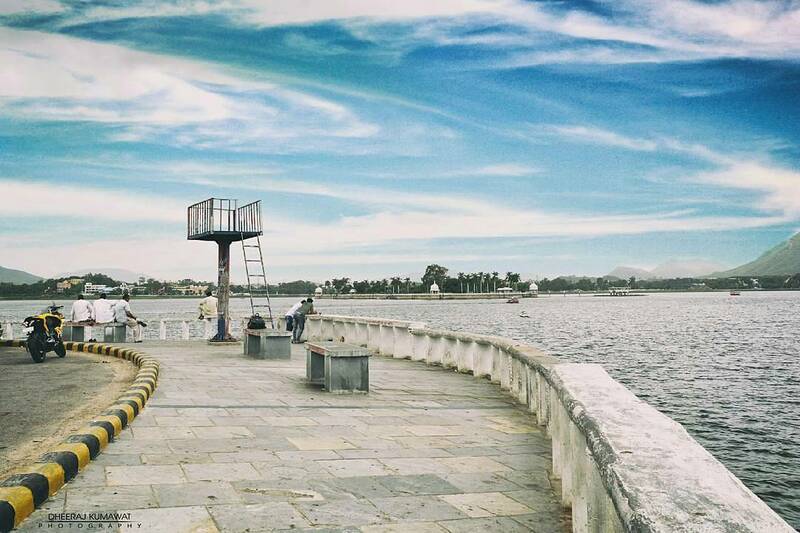 Neighbouring the beautiful Lake of Pichola, Dudh Talai is a pretty and delicate pond at the epicenter of Udaipur. Encircled by the astounding hillocks all around, this lake also holds out venturing activities of camel and horse ride. Besides, the beautiful gardens of Manikya Lal Verma and Pt. 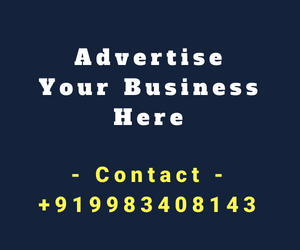 Deen Dayal Upadhyay (also known as Rock Garden or Musical Fountain Garden) enrich the beauty of Doodh Talai offering the breathtaking view of the peaceful Pichola and Doodh Talai. The tranquil environment of this tourist place is perfect for spending some quality time with family and friends. 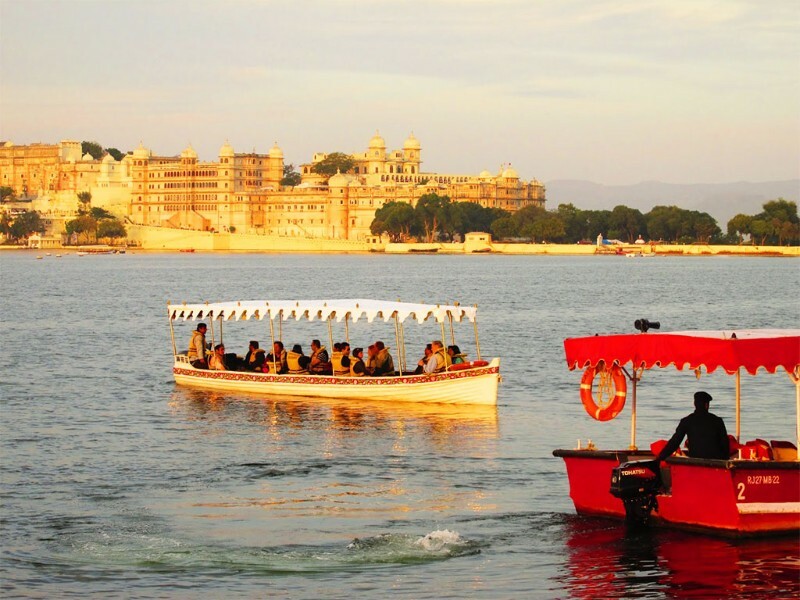 Famous as the ‘Venice of the East’, a visit to Udaipur is incomplete without taking a boat ride in Lake Pichola. 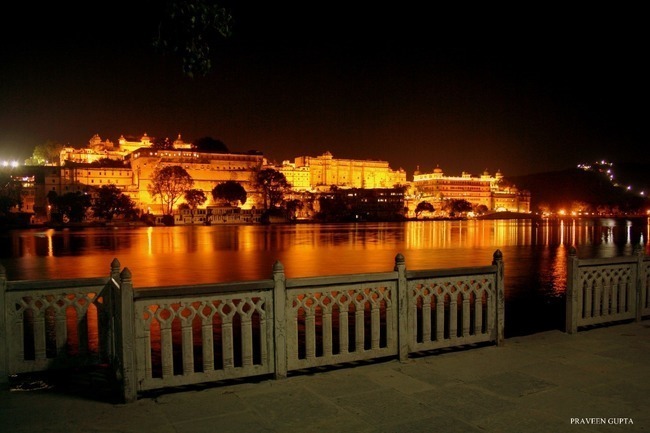 This hour long journey gives you awesome views of the City Palace complex, the beautiful ghats, Sajjangarh Palace, Jag Mandir and Lake Palace Hotel. Also, there is an exclusive boat cruise which will give you the perfect romantic setting and a peaceful ride cruising around the enthralling spots as you sip your cocktail. The location of Jag Mandir amidst Lake Pichola also adds its beautiful views of the sunset, which can be best enjoyed if you opt for the sunset boat ride. You can also hire a boat for an ultra-private experience. 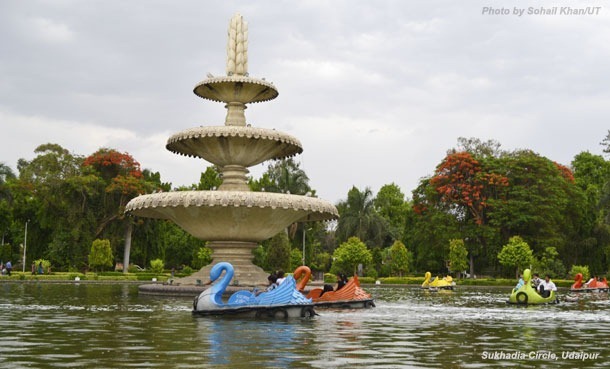 Located in the heart of Udaipur, Sukhadia Circle is one of the most popular spots in the city. One can take a nice long walk by the large circular roundabout or go boating in the small pond that has a beautiful 21-foot tall three-tiered fountain in it’s centre. Evenings are a special treat at Sukhadia Circle when the sun sets as you can also find many food kiosks that serve a variety of snacks straight from typical Indian snacks to Continental, Chinese and Italian. The sight of the great fountain is a treat to the eyes especially after sunset when the entire thing is lit with beautiful lights giving the place a warm and lovely vibe. 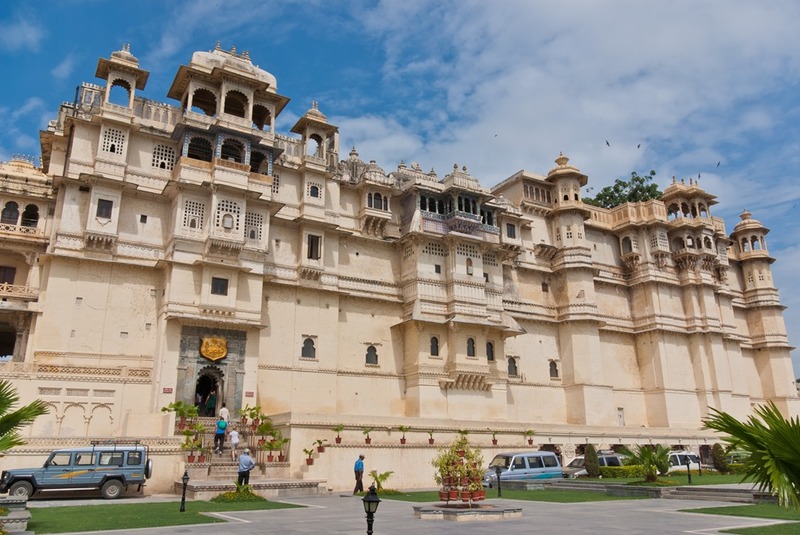 This attraction is a must-see for everyone visiting Udaipur. Situated about 12 Km from the city, Badi Lake is popularly known as Badi ka Talab among the localities. It is one of the finest fresh water lakes in India and is among the major tourist attractions. The place has pleasing flora and fauna and a peaceful atmosphere which makes you feel connected directly to the nature and get mesmerized by its enchanting scenery. You can sit near the shore for hours and admire the lake’s beauty. The embankment is dignified by three artistic chhatris (Kiosks or Pavilions). Free from any commercial activity and the busy city, the Badi Lake gives a view of a never-ending swathe providing a serene atmosphere to the visitors. 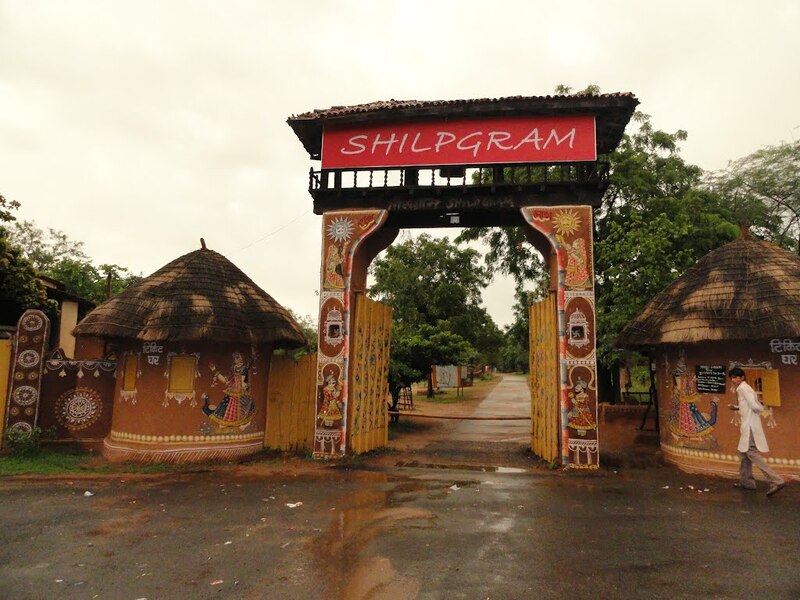 If you are someone who likes to adore and learn about culture, Shilpgram is the perfect place for you! Situated 3kms from the main city, this Craftsmen’s Village is a wonderful place to see the different traditions, crafts, wonderful paintings and culture of India. Other than buying the traditionally made items here, one can also enjoy and indulge in horse and camel riding activities along with traditional dance and music. An annual program is also organized in the month of December where people come from various countries to see the best art and craft and admire the rural essence here. Formerly known as Sajjangarh Palace, this royal architecture is a luxurious hilltop palace. Located at a distance of about 9kms from the main city, the palace stands upon a hill and from a distance looks like one of those castles from a fairy-tale. The rocky ridge is huge and guarantees a panoramic view of the surrounding hills, lovely lakes, snow-white palaces and sunset at a distance. The palace is in close vicinity of the Sajjangarh Wildlife sanctuary and is usually a one day trek from the palace. The beauty of this place gets doubled in the Monsoon season as it gets beautifully sheltered with clouds and eye-catching panorama. Entry Fee: Rs.100 per person, Rs.30 for car parking. 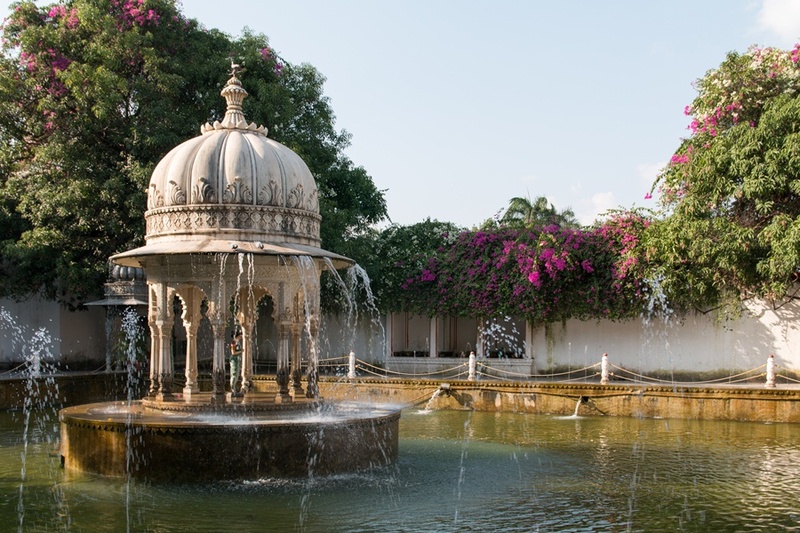 ‘The Garden of the Maidens’ as it precisely means, Saheliyon ki Bari is one of the most beautiful gardens and a major tourist spot in Udaipur. The garden is wreathed with crystalloid fountains, delicately chiselled kiosks, marble elephants, a delightful lotus pool and many more attractions which create the royal picture of the bygone era and provide a charming sight to behold. Above all, you can saunter through the lush green lawns where the bunch of bougainvillea will bend down to welcome you. For history buffs, there is a small museum within the garden displaying a collection of rich royal heritage supported by pictures and paintings. You may also have a propitious sighting of a stuffed cobra, if you are lucky enough! It is said that the fountains have a different sound which gives a soothing effect and creates a peaceful and royal aura all around the garden. Situated on the eastern coastal bank of Fatehsagar Lake, Moti Magri is a spot of succulent greenery and a perfect place to capture the beauty of Udaipur. 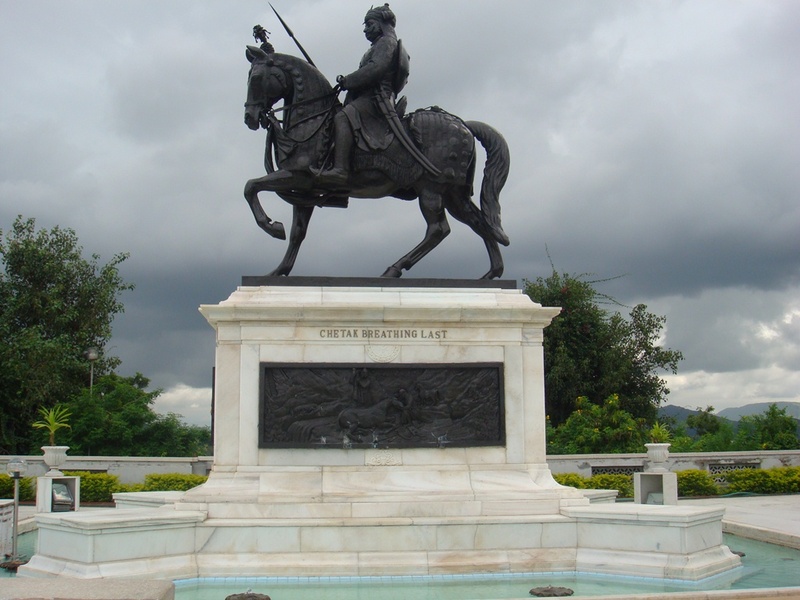 Atop the Moti Magri or Pearl Hill is the memorial of the Rajput hero Maharana Pratap, which is a bronze statue of the Maharana astride his favorite horse “Chetak”. Alongside the memorial is a Japanese rock garden that is amazing on its own. 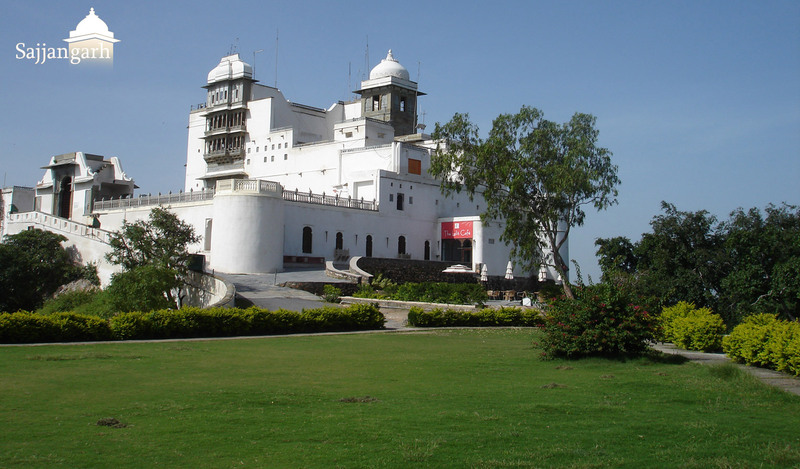 There is also a museum on the hill that displays various portraits including Rani Padmavati and Meera Bai with some models of the Haldighati battle and Chittorgarh Fort. Each evening around 7:30pm, a Light and Sound show is also held at Moti Magri. Entry Fee: Rs. 25 for adults and Rs. 10 for children. 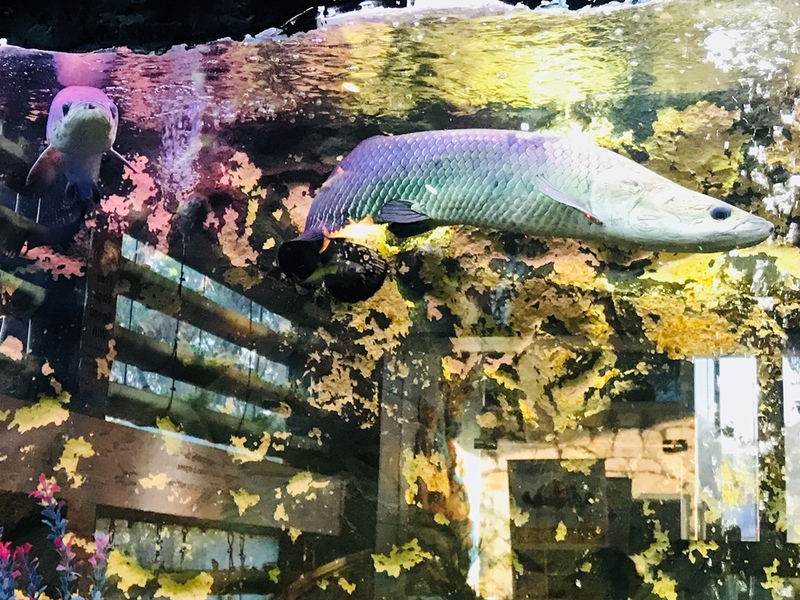 Being the biggest public aquarium gallery in India, Under The Sun is the latest tourist attraction in the alluring city of lakes. The 125m long aquarium serves as a host to around 150 aquariums and 180 different species of fishes and other sea creatures. Situated close to Vibhuti Park on Fatehsagar Pal, this aquarium is amazingly constructed with a beautiful display of aquariums with breathtaking aquascaping and lovely tropical freshwater fishes, a 3D aqua trick art museum, aqua live VR sets for feeling sea life in an immersive 360-degree environment, an OMG Tank where you can get inside and experience life underwater without getting wet and a Touch Pool stacked with numerous fishes where you can place your hands inside the pool and the fishes will come running to provide a ticklish experience. The perfect location near to the Fateh Sagar Lake makes this aquarium more appealing and worth visiting. 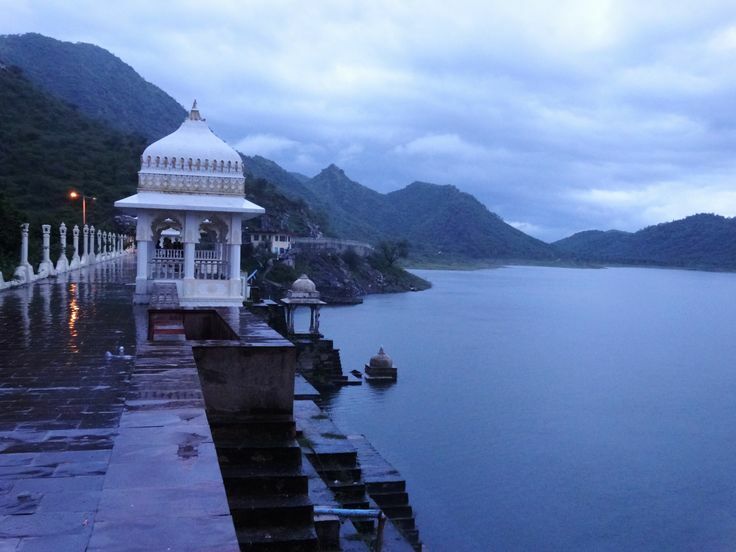 Being the charm and pride of Udaipur, Fatehsagar Lake is one of the major tourist attractions. 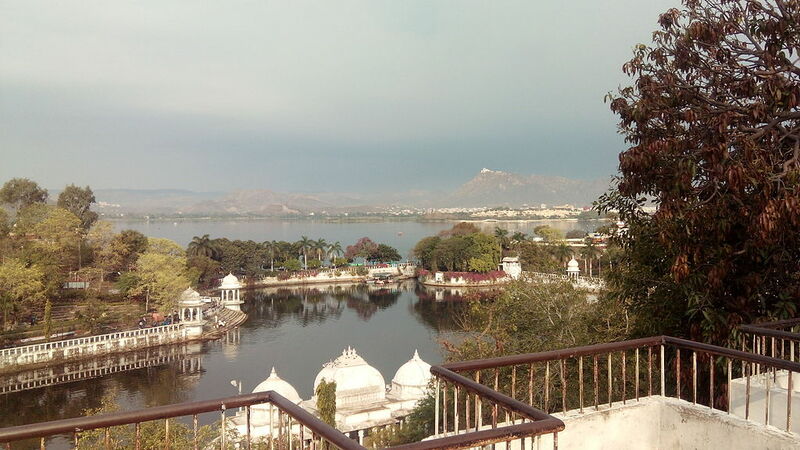 This enchanting lake comprises of three islands with the largest one being the Nehru Park, which is a popular tourist attraction, the second island which houses a public park with an impressive water-jet fountain and the third island which is the address for the Udaipur Solar Observatory (USO). Sprawling over 2.4 Km, this pear shaped lake is the perfect place to spend the evening as the view of the city gets better while the sun sets at the horizon. With Aravali ranges surrounding the lake on one side and the mouth-watering snacks at the chaupati on the other, Fatehsagar surely is a must visit destination that you can’t skip. Hope this article turns out to be helpful for you. Enjoy your Short Trip to Udaipur this season!! !